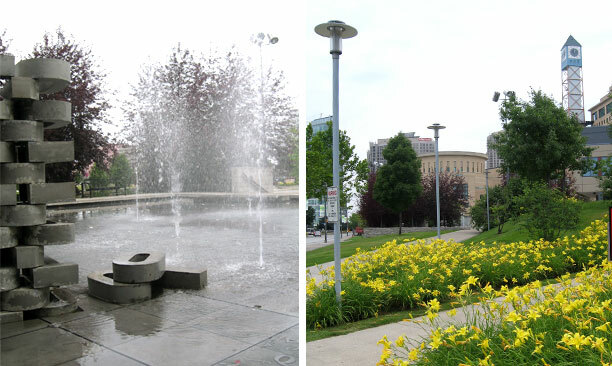 City Centre Park - PMA Landscape Architects Ltd. 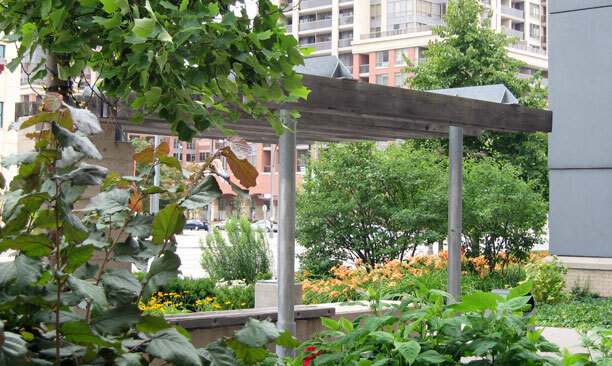 This 1.2ha (3 acre) park is the central green space for the new Mississauga downtown. 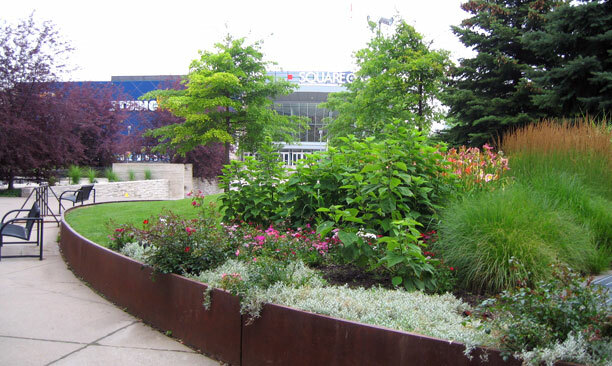 The design is the result of a competition to develop the urban space surrounding Mississauga’s Living Arts Center. 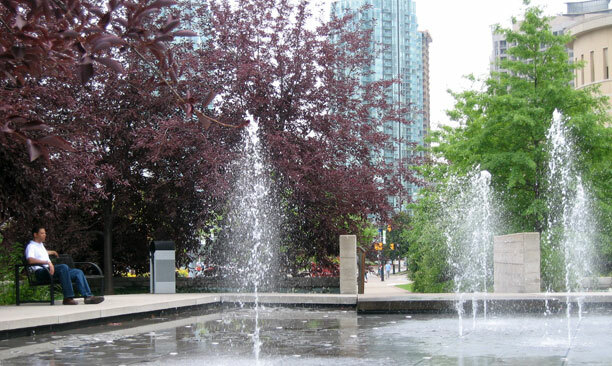 The park provides a valuable green respite within the urban core of Mississauga. 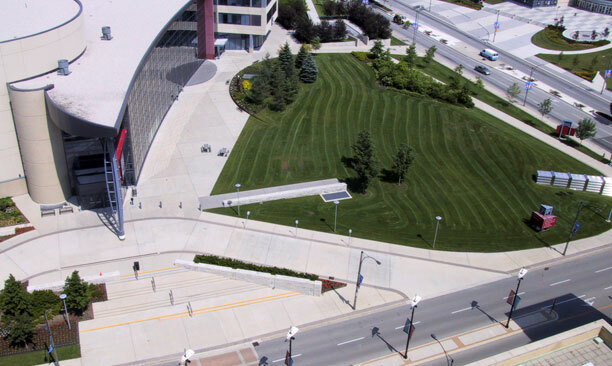 The lawn is a multi-functional space capable of provide casual seating for outdoor concerts. Key to the design was the incorporation of a variety of art pieces based upon the transfer of knowledge and ideas. Letters line the reflecting pool/fountain floor representing the basis of words. 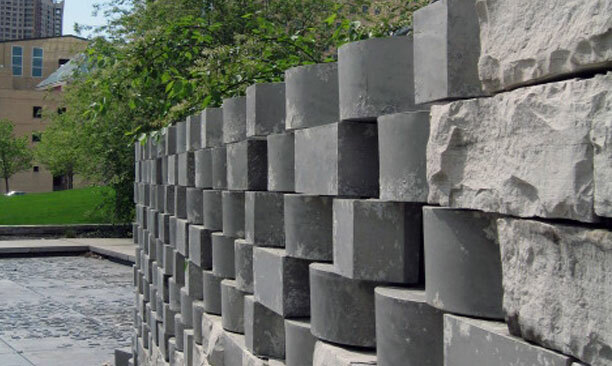 A Book Wall retaining structure illustrates the capture of words into cohesive thought. The design also responds to the many activities within the building. The north quadrant of the park becomes a breakout space for artists and art sales. The space is separated from the road by linear planting representing farming at the roots of the City. 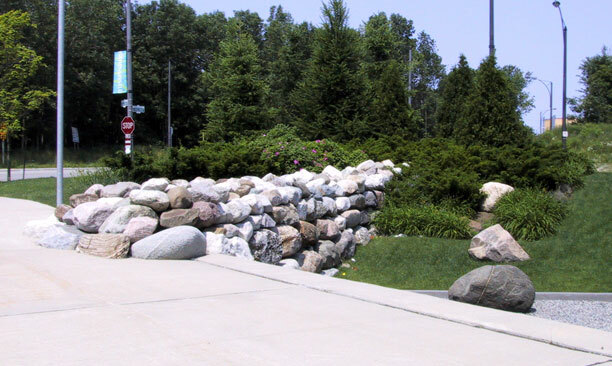 On the west side of the building a sunken area provides breakout space for children’s activities, again separated from them road by a traditional boulder stone wall, that are created when fields were cleared. 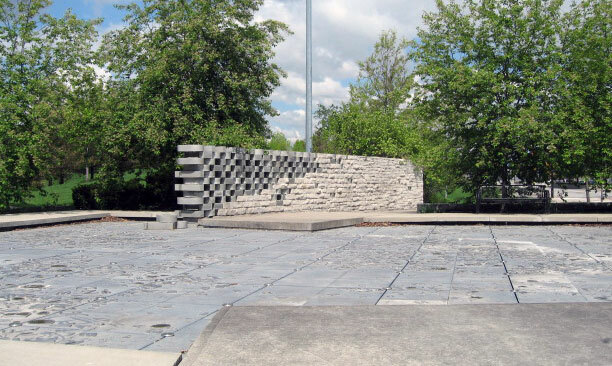 The detailed design of the space includes urban and streetscape development, the design of landscape installations, fountains, performance and display stages and rich, maintenance-conscious planting.